Kstovo kindergarten №4 «Pingvin» hosted the year’s first presentation of socio-environmental project «Plants make children healthy!» on March,17, under the frame of RusVinyl LLC’s environmental projects competition «Ecomind». This kindergarten became one of the winners of the internet voting, held by Zemlyaki newspaper on Кстово.ру web-site. Following the results of the project implementation, the kindergarten was presented with more than 50 phytoncides plants, learning materials, equipment for plants handling. The project is being implemented under the financial support of RusVinyl LLC in cooperation with the Legislative Assembly of the Nizhny Novgorod region. 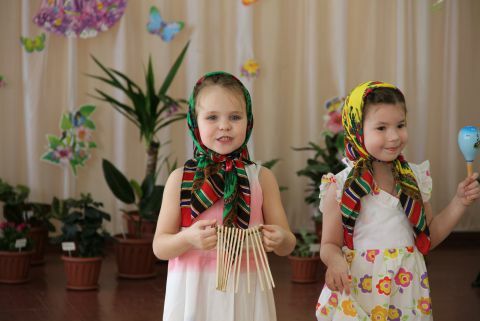 Before the end of March, one more presentation in kindergarten №10, which also won the voting, will be held in Kstovo. Kindergarten №10 will be also presented with phytoncides plants. It is the tenth year when the project «Plants make children healthy!» is implemented in the Nizhny Novgorod region. According to the ten-year health statistics, the indoor use of phytoncides plants reduces air’s bacterial pollution by 30 -70%, and, as a consequence, reduces the risk of acute respiratory diseases, by minimum 30%. Over the last two years in Kstovo this project has been supported by RusVinyl LLC and the information support has been provided by the Committee for Ecology and Use of Natural Resources of the Nizhny Novgorod region’s Legislative Assembly.